I’ve long been a fan of Mini Moderns - their distinctive mid-century style has always been right up my street. 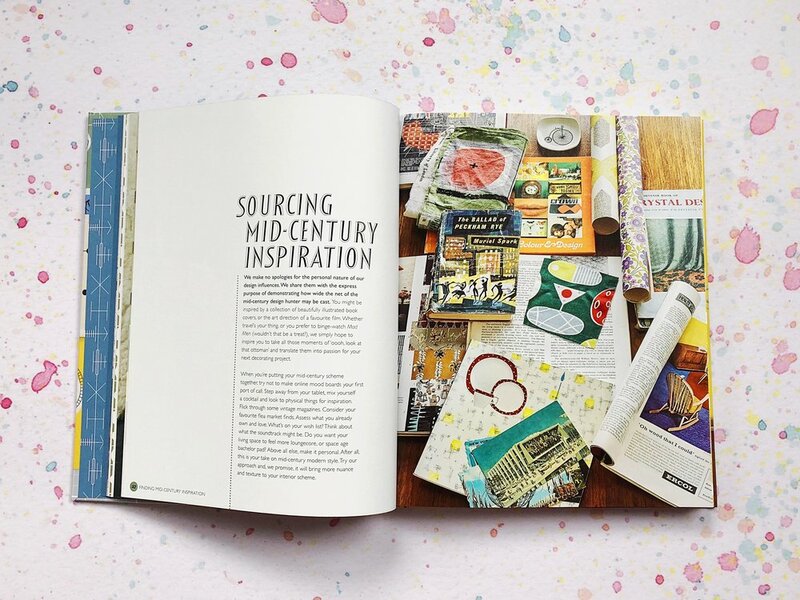 When I popped by their stand at Top Drawer last year I wanted EVERYTHING. At the moment though many of you will be familiar with my very yellow feature wall (if you follow me on Instagram anyway!) papered with their Peggy wallpaper (the leftovers of which I’ve subsenquently used for all sorts of projects). While I head off to plan my next wallpaper purchase (and read the book from cover to cover), I’ll leave you with a few more photos. 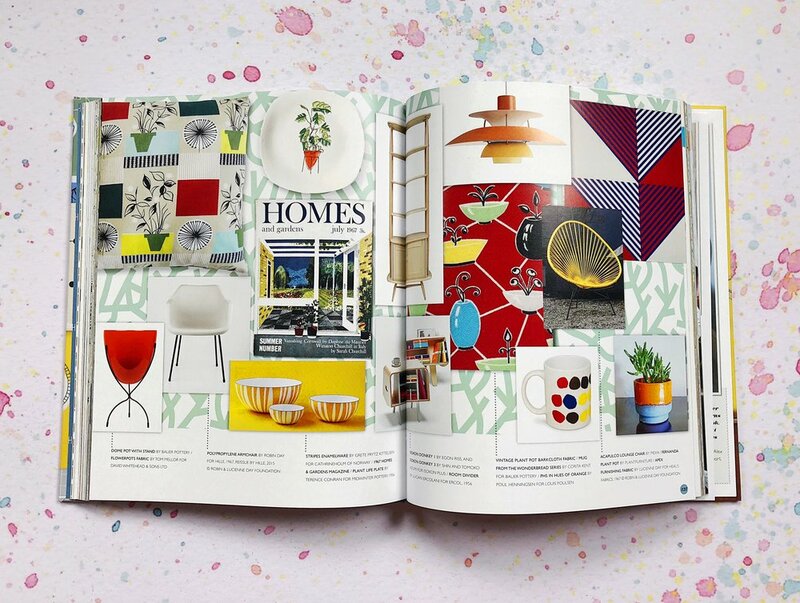 If you’re in London, Mark and Keith will be at the Fashion & Textile Museum next week talking about creating the mid-century look in your home and signing copies of the book - and this happily coincides with the museum’s Swinging London exhibition which I’m looking forward to seeing. This is NOT a sponsorerd post - I received a free contributor’s copy of the book. Mid-Century Modern Living by Keith Stephenson and Mark Hampshire is published by Kyle Books on 28 March 2019 - you can pre-order a copy here.